John Harrison pulls cranks out of the back of his boat. A MinnKota Terrova keeps the boat on track and can be controlled by remotely. Surface temperatures in the south are really hot this year from all the 90-plus degree daytime temperatures. 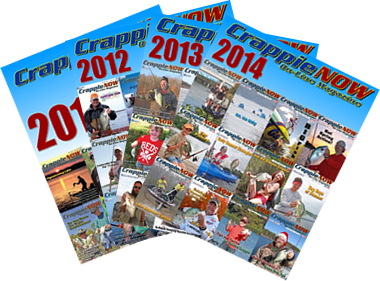 Many of the lakes surface temps are near or above 90 degrees; however there are crappie to catch. 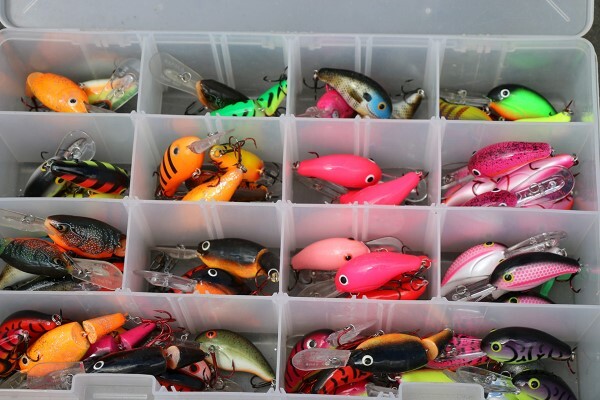 There are still several techniques that will put them in the boat and trolling crankbaits is one of the most of effective way to do it this time of the year. 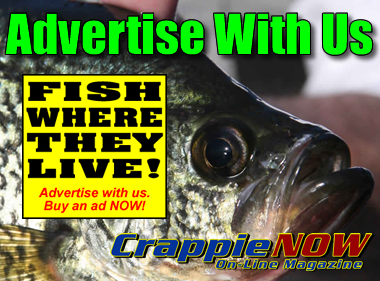 We at CrappieNow had the opportunity to spend a day in the boat with John Harrison on Enid Lake where the daytime temps reached 95 degrees and the surface temp was 90. 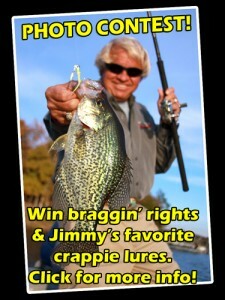 We trolled crankbaits and within a couple of hours had seven nice crappie weighing about 10 ½ pounds. We caught numerous 10- to 11-inch fish along with the seven keepers (a keeper is longer than 12 inches) and we continued to catch quite a few more before we decided to call it a day. Here is the setup in John’s 21-foot War Eagle crappie boat. 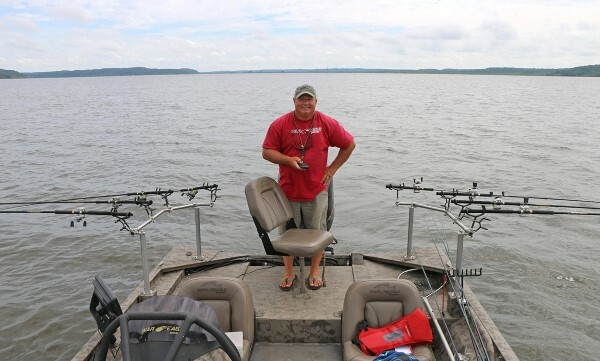 He has corner style Driftmaster rod holders set ups on the back of his boat and uses a MinnKota Terrova trolling motor so he can operate it remotely. He uses B’n’M Pro Staff rods with two rods each of 8, 12, 16 and 20 feet. The shortest rods are mounted at the middle of the boat with the other rods mounted around the aft section of the boat and the 20 foot rod closest to the bow. 10-pound test Gamma Optic Yellow line is spooled on each rod. This setup provides approximately 47 to 48 feet of coverage when trolling. Each time John gets on the water, he starts with 40 feet of line spooled out on the shortest rod, 50 feet on the next rod, 60 feet on the 16 foot rod and finally 70 on the longest rod. This will be the set up on one side and on the other side almost the same except starting with 35 feet of line out from the middle of the boat and finally 65 feet on the longest rod. This is done to determine the most productive depth the crappies are biting and then all rods are adjusted accordingly. He will typically start trolling around 1.5 mile per hour and will go to 1.8 and it all depends what is best for the day. Crankbaits are the heart and sole of summertime trolling. So what are the best crankbaits to use? John uses several different brands of baits but on a normal day, he begins with a specific color that has worked over the last several trips. Today and over the past month, the best color combo is black and orange. On the eight rods being used today, there were some Strike King 3 and 3XD, Jenko Fishing, Bandit 200 and 300 and Arkie crank baits tied on. Again, the common denominator was all baits were some sort of black and orange coloration. 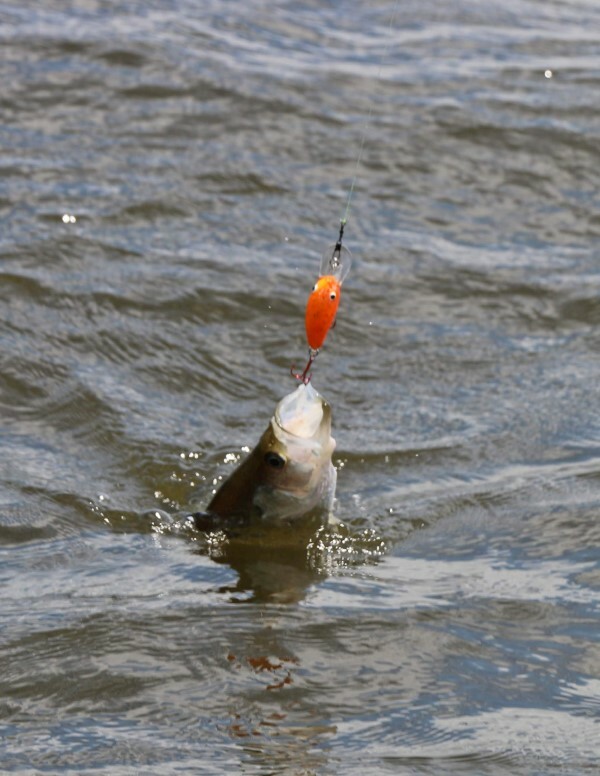 As a pattern was established, the bait catching the most fish was tied to other rods. John said the crappie can change their feeding mood from day to day so if they are not biting as well as the day before, switch colors. This will often trigger bites and catch more fish. One of the things that John has experienced is that colors will change from year to year. Example, last year pink was a hot color with the year before that, chartreuse was very good and this year baits with orange work better. 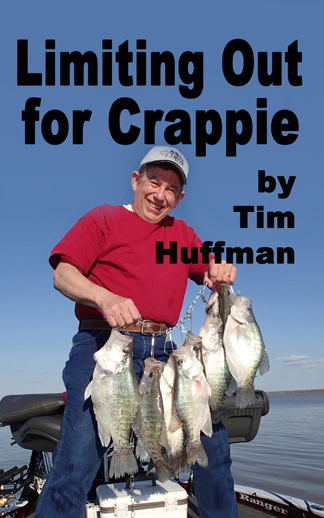 A crappie comes to the boat. Trolling causes water pressure on a hooked fish so it comes to the top where it can be kept while reeling it to the boat.